LOL, I believe you totally. Don't watch the game this weekend, ok? I seem to recall your beaver being dressed up in Eagles gear. LOL I bet you were merciless to your boyfriend when the Cowboys played the Eagles last time, huh? It's all good. I'm still very glad you accepted my friend request. Totally my pleasure. Thank you for accepting (oh, and go easy on me in hockey ). I am good hon, just chilling, lol. Always good to see you on the boards. 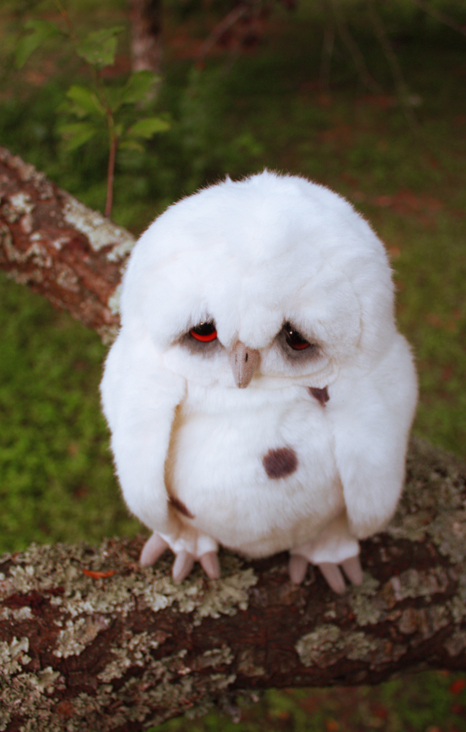 You've made this owl very sad. Hey, Middlegorund. You're quite a babe. Do you wanna be my girl? We could like, talk about interesting stuff, hold hands in the park and have meals and stuff. I could make love top you with a slowness that borders on cruelty. What say you? Don't worry. You can be as withering in your rejection as possible, and I'll take it like a man. After staggering around blind with grief, and throwing chairs through windows and stuff, that is.